Study at the Alder Hey Academy and gain access to world-class healthcare education and training programmes delivered by some of the country's leading experts in child care, treatment, and services. Housed in the iconic ‘Institute in the Park’ at Alder Hey Children's NHS Foundation Trust, the Alder Hey Academy offers undergraduate and postgraduate medical education delivered in a purpose-built teaching environment with state of the art facilities and access to one of the busiest children’s hospitals in Europe. It’s the perfect setting for trainee clinicians. The Alder Hey Academy also offers a range of programmes and events for health professionals. All are welcome. Find details below. Housed in the iconic ‘Institute in the Park’ at Alder Hey Children's NHS Foundation Trust, the Alder Hey Academy offers education and training programmes delivered in a purpose-built teaching environment with state of the art facilities and access to one of the busiest children’s hospitals in Europe. Alder Hey has expertise in the full range of secondary, tertiary and primary care paediatric services. Our education and training can be offered to physicians, nurses and allied health professionals. The Academy delivers traditional, established courses and bespoke training that can be designed to meet specific requirements. The Undergraduate Medical Education team at the Alder Hey Academy supports medical undergraduates in training and provides an integrated teaching programme in the speciality of Paediatrics. The majority of medical students are from Liverpool University and Oxford University along with other visiting/elective trainees from other medical schools in the UK and overseas. Our vision is to offer students the highest standards of medical education to meet the future needs of patients and ensure that they have skills and knowledge to provide exceptional care. 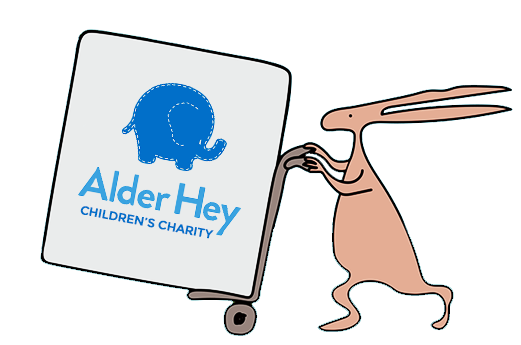 All Medical Student attachments must be organised via the Undergraduate Office to fulfil the necessary Employer/Employee Liability requirements and to ensure that students who attend Alder Hey for training achieve their full potential. Our current Medical Student elective places are now all full until summer 2018 when our main elective block commences – Monday 2 July to Friday 10 August 2018 and then Monday 29 October 2018 onwards until Friday 31 May 2019. Please note these attachments are electives only and last a maximum of five weeks. Please note Electives MUST NOT be part of your formal training in Paediatrics, and all students are usually required to have completed their formal paediatric training at their medical school. The Postgraduate Medical Education team supports junior doctors in training at Alder Hey. The vision is to offer the highest standard of postgraduate medical and dental education to trainees to ensure that the highest level of care is provided for our patients. • Embrace and encourage innovations in medical education and patient care. Alder Hey staff can find out more about learning and development opportunities offered by the Alder Hey Academy for staff (Alder Hey staff login required).